Applications in prescribed format for a Free Coaching course of a duration of 6 months x 4 hours for Medical / Engineering entrance examination are invited from students belonging to the minority communities i.e. Muslim, Christian, Sikh, Buddhist, Parsis and Jains having annual family income ceiling of Rs. 6.00 lakhs. Stipends @Rs.2,500/- per month for local/outstation students will be paid to the selected candidates. 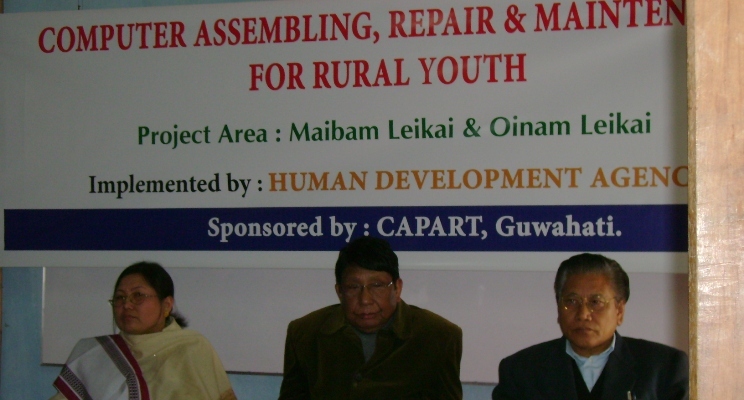 Application forms are available on the website www.hda.org.in / from the office of the HUMAN DEVELOPMENT AGENCY (HDA), Uripok Cheirap Mamang, Imphal West, Manipur / the HDA Maibam Leikai Branch, Heirangoithong Maibam Leikai, Tampha Leirak, Imphal West, Manipur during 11 a.m. to 3 p.m. on working days up to 15th May, 2018.